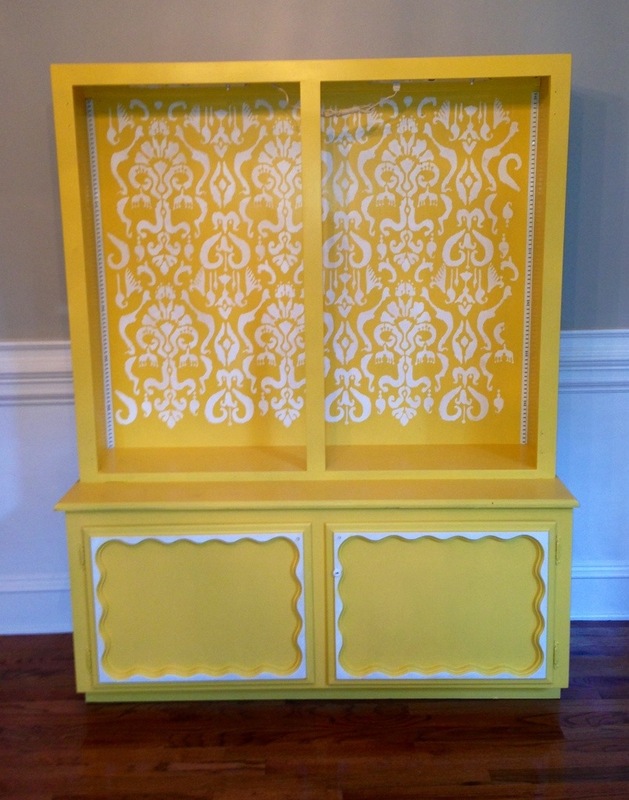 Newly stenciled display cabinet I’m going to use to display fabric in at the booth. I used Royal Design Studio’s stencil to do the inside. Really don’t want to put anything in it, it looks so nice! Decided not to put the glass front doors in unless I end up making jewelry again and need the cabinet to lock.